Home Tennis Betting: How it should be done right? Tennis at first doesn’t seem to a be a sport that complicated. This is a common misconception regarding it and we really don’t blame anyone for having this opinion. But, if you start to analyze it more in detail, you will realize that it implies a exceptional physical form, accuracy, good self awareness and a high degree of focus. In fact some of the matches are so intense, they can last for several hours. Tennis as we know it today went through an evolutionary stage and the first sign of the sport were seen back in 12th century. Back then the sport was quite different and it was played with the bare hands. Nowadays it’s played with the help of rockets and grown in popularity. Now it’s enjoyed by millions of people around the world, but especially the upper class of the society. But besides the joy of watching a good game of tennis, there is a percentage of the fan-base that see it as an investment. Of course, we are talking about tennis betting! For some, tennis betting can be a strange subject! This is because they have no idea about how bets work. But have no worries! You came to the right place! In this simple and very intuitive tutorial (if we could call it that) will explain you how you can bet and most of all how you could do it like a pro. First you must understand that tennis can be played in the form of 1 versus 1(single) or 2 versus two (double), the most popular type being the single and will use it as an example. 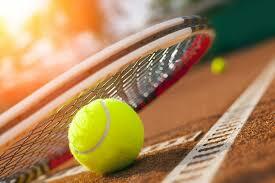 What is the first thing you do regarding Tennis Betting? Well, as you would expect, pick up a favorite by going in a online betting platform at the Sports section (in the case of an website) or look at the table at your local betting shop. Then you should analyze its past evolution in confrontations of your tennis-man. What was his form, what was the match duration, the score and so on. After that, you can makeup your mind and select a new favorite to go with, or place the bet on the current pick. On every online betting platform, next to the match you will see a 1 and a 2, each having a number beneath that is the odd. The 1 represents the first player and the 2 the second player (from left to right). Here you must input the stake and the total potential win will be displayed. Then click the place button and you are done. Is that easy! Don’t have an online betting account yet? Registering is simple and also gets you a welcome bonus package that can be used on sports and other games as well. In order to place a winning bet you need practice and a little bit of knowledge in terms of the sport. That’s about it! We wish you best of luck in your betting endeavors.